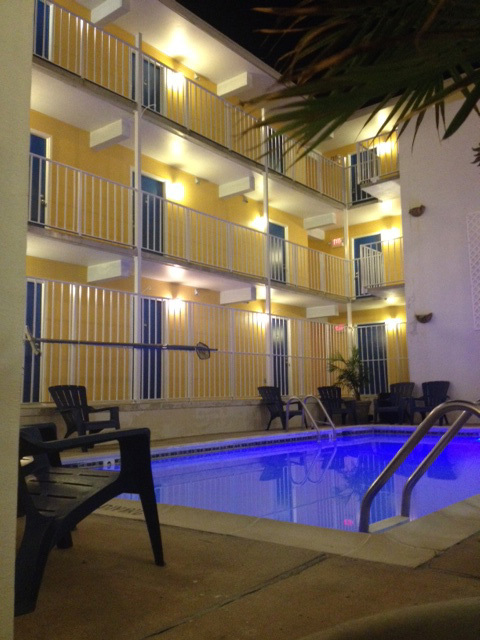 Located in quaint Fenwick Island, Delaware, the Seaside Inn is nestled in The Quiet Resort between Ocean City, Maryland to the south and Bethany Beach, Delaware to the north. We are the perfect choice for family comfort, convenience and affordability… all within steps of the beautiful Atlantic Ocean. The Seaside Inn’s spacious rooms are available with a King bed or two Queen beds. Rooms with a sofa bed are also available for larger families. Relax on your private balcony or splash in our refreshing pool before strolling off to discover one of the many fine retail shops or charming restaurants near the Seaside Inn. A wide variety of family amusements including playgrounds, putt-putt golf and a movie theatre are also located within minutes of our doors. There is no better place to relax, enjoy the cool ocean breezes or build sand castles than on the clean, white sandy beaches of Fenwick Island, Delaware. You can also kayak or sail on the bay, experience the thrill of deep sea fishing or try your luck surf fishing on the beach. So, set your GPS to latitude 38.463392 and longitude -75.051326, and prepare for an enjoyable visit to the Seaside Inn and Fenwick Island, Delaware.